Devi Prasad Singh, J. 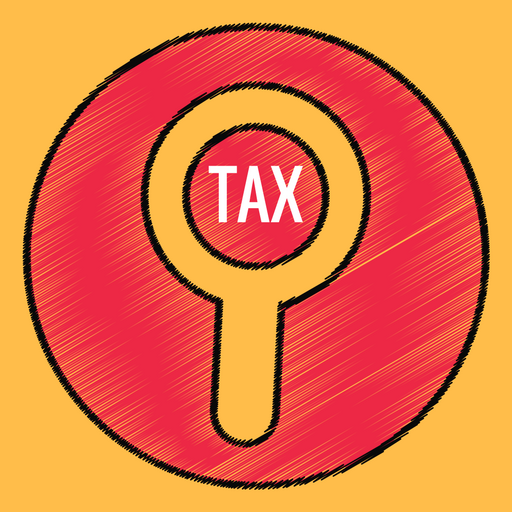 – In these appeals, filed under section 260A of the Income-tax Act, in short, ‘Act’, common question of law and facts are involved. The appeals were admitted on common substantial question of law, hence are being decided by the present common judgment. Income-tax Appeal No. 127 of 2005 is taken up as leading appeal. 2. Assessee is a firm engaged in the business of manufacture and sale of heavy pipes and coolers. It took on lease a plot of land from Lucknow Development Authority (in short L.D.A. ), at Nishadganj, Lucknow for construction of a commercial complex with the name and title of “Goel Complex”. The assessee’s registered office is also located there. The assessee let out the open space of its complex in assessment year 1986-87 and the rental income so earned was offered for taxation under the head, ‘Profits and gains of business or profession’. 3. Right from the assessment years 1986-87 to 1992-93, the department accepted the claim of the assessee to the effect that the rental income was taxable under the head, ‘Profits and gains of business or profession’. 4. However, in the assessment year 1990-91, order for assessment was passed under section 143(3) of the Income-tax Act (in short ‘Act’). The order for other years was passed under section 143(1)(a) of the Act treating the income from house property. In the assessment years 1993-94 and 1994-95, the Assessing Officer taxed the income under the head, “Income from house property” without looking into the past assessments right from 1986-87. The assessee preferred an appeal and learned CIT(A) accepted the claim of the assessee and directed to assess the income as ‘business income’. The above order of the learned CIT(A) of the years 1993-94 and 1994-95 was not challenged by the revenue before the Tribunal. In the assessment year 1995-96, the Assessing Officer himself passed an order under section 143(3) and assessed the income as ‘business income’. 5. However, for the assessment years 1996-97 to 2000-01 (under appeal), the revenue assessed the income under the head “Income from house property”. The order of the Assessing Officer was set aside by the CIT(Appeals). The appeal filed by the revenue was dismissed, hence the present appeals. 7. We have heard learned counsel for the appellant and learned counsel for the respondent on the aforesaid substantial question of law and perused the record. 8. It has not been disputed that for certain years in past (supra), the Assessing Officer while passing order under section 143(3) has taxed the income as ‘business income’ and for some years, the CIT(A) has directed to tax the income as “business income” (supra). The finding of CIT(A) was not challenged by revenue. For the assessment years in question, the revenue had challenged the finding of learned CIT(A) which has been affirmed by the Tribunal. The Tribunal observed that the revenue has not brought any new facts as to why the departure from earlier stand of the department is warranted. The Tribunal held that the principle of res judicata does not apply in tax matters but at the same time held that there should be consistency in decision making process and in absence of any substantial material placed on record, the earlier orders should be followed. Another issue before the Tribunal was related to deletion of the disallowance of Rs. 1,20,000 on interest-free advances given to a sister concern M/s. Goel Construction Company. The CIT had deleted the addition observing that the advance to sister concern was warranted by the business consideration. The Tribunal recorded a finding that the advance was given as per agreement dated 17-8-2003 when the land was taken on lease and since then, the advance to the sister concern is continuing and no fresh advance has been made. It has been held by the Tribunal that since the advance was given to the sister concern as per agreement for more than 10 years back, it was warranted by the business considerations. 9. Other issue before the Tribunal was with regard to deletion of trading addition of Rs. 64,573. The CIT(A) deleted the addition made by the Assessing Officer and the Tribunal has upheld the order of the CIT(Appeals). The Tribunal further upheld depreciation on car with observation that the CIT(A) rightly deleted the allowance made by the Assessing Officer since the vehicle in question was a truck which cannot be used for personal purpose. However, all these questions do not call for adjudication since the substantial question of law heard and framed relates to rental income derived from letting out of the property. 10. The Tribunal held that the rental income earned by the assessee is not an income from house property but is a business income and accordingly, disallowances have rightly been made. The Tribunal reiterated the order of the earlier assessment years with the observation that no new fact has been brought on record and there is no justification to depart from earlier finding and observed that the rental income earned from the Goel Complex was taxable under the head ‘Profits and gains of business or profession’. 11. It has not been disputed at bar that the entire Goel Complex has been let out on rental basis in open market except the portion occupied by the assessee for its office. It has also been submitted by the assessee’s counsel that the plot itself was purchased for commercial use from the LDA and after constructing the building, it was let out on rent. Accordingly, the amount earned after letting the premises is wholly and exclusively for business purpose and hence, the submission of the respondent’s counsel that the rental income so earned is business income carries weight. Thus, the registered lease agreement entered into between the appellant and the Nagar Mahapalika, Lucknow at the face of record shows that the appellant constructed the building in question exclusively for commercial purpose. 14. On the other hand, learned counsel for the respondents stated that right from very beginning, i.e., from the time of execution of agreement as well as registered lease agreement and right from the purchase of land for construction of building, the assessee has taken the project to construct a building for rental purpose as a mode of commercial activity. At no stage of time and also there is no evidence on record which may reveal that the land was purchased for dwelling or non-commercial purpose, hence the income may be assessed under the head, “Income from commercial property”. 15. It has been stated by the respondents’ counsel that there is no change of situation right from 1986 till date with regard to the use of premises in question for commercial purpose. The submission is that the income from exclusive commercial activity may not be treated as income from house property, hence the finding of the Tribunal does not suffer from any impropriety or illegality. The question framed has already been dealt with by the Tribunal lawfully. 16. It has also been stated by the assessee’s counsel that the principle of res judicata does not apply but consistency should be maintained and the taxing authority should not deviate from the earlier decision unless there is justifiable material on record calling to deviate from earlier decision. 18. On the other hand, Mr. J. N. Mathur, learned Senior Counsel assisted by Mr. Mudit Agrawal appearing for the respondent relied upon the cases in Karnani Properties Ltd. v. CIT  82 ITR 547 (SC), S. G. Mercantile Corpn. (P.) Ltd. v.CIT  83 ITR 700 (SC), Universal Plast Ltd. (supra), New India Industries Ltd. (supra), Sri Balaji Enterprises v. CIT  225 ITR 471 (Kar. ), Union of India v. Kaumudini Narayan Dalal  249 ITR 219 (SC), Union of India v.Satish Pannalal Shah  249 ITR 221 (SC), CCE v. Eureka Forbes Ltd. 2005 (12) SCC 241, CCE&C v. P. M. T. Components Ltd. 2005 (12) SCC 242, CCE&C v. Alstom T & D Transformers Ltd. 2005 (12) SCC 419, State of A.P. v.Bhooratnam & Co. 2005 (12) SCC 420, C. K. Gangadharan v. CIT 2008 (8) SCC 739, CWT v. Allied Finance (P.) Ltd.  289 ITR 318 (Delhi), DIT v. Lovely Bal Shiksha Parishad  266 ITR 349 (Delhi), Radhasoami Satsang v. CIT  193 ITR 321 (SC) and Municipal Corpn. of City of Thane v. Vidyut Metallics Ltd.  8 SCC 688. 19. Section 22 of the Act provides that the annual value of the property consisting of any building or lands appurtenant of which the assessee is the owner, other than such portions of such property as he may occupy for the purposes of any business or profession, generating profit may be chargeable to income-tax under the head “Income from house property”. “22. Income from house property.—The annual value of property consisting of any buildings or lands appurtenant thereto of which the assessee is the owner, other than such portions of such property as he may occupy for the purposes of any business or profession carried on by him the profits of which are chargeable to income-tax, shall be chargeable to income-tax under the head “Income from house property”. Explanation – For the purposes of clause (b) or clause (c) of this sub-section, the amount of actual rent received or receivable by the owner shall not include, subject to such rules as may be made in this behalf, the amount of rent which the owner cannot realise. Apart from sections 22 and 23, section 24 relates to deductions from income from house property which provides that a sum equivalent to thirty per cent of the annual value and interest paid on borrowed capital shall be deducted from the income of house property. Section 25 further provides that the interest chargeable under the Act may not be deducted on which tax has not been paid or deducted under Chapter XVII-B of the Act with regard to which there is no person in India. 20. While interpreting the provisions contained in section 22 of the Act with regard to right of revenue to impose tax under the head, “Income from house property”, the provisions contained in sections 22, 23, 24, 25, 25A, 25B, 26 and 27 should be seen collectively. 22. A plain reading of section 27 shows that the owner of house property means a house or building owned by an individual or person as impartible estate. It cumulatively shows the initial acquisition of an estate should be for dwelling or habitation or non-commercial purpose, used to generate income. 23. A plain reading of sections 22 to 27 shows that “the house property means property constructed for dwelling or residential purpose, a portion of which or whole of the property or its appurtenant land is let out on rent to earn profit.” It does not include a property or building constructed or purchased under the planned business activity. That is why, the Legislature to their wisdom has included the house property with rental value and possession by way of transfer to spouse etc. Section 27 further provides that the co-operative society, company or association, from whom the property is allotted or leased out to a person shall be deemed to be the owner of the building or part thereof. Accordingly, to assess the income under the head, “Income from house property”, it shall be necessary to find out from the record the aim and object and purpose of the building owner while acquiring or constructing or purchasing the same and used for the rental purpose to earn income. 24. Section 28 deals with profits and gains of business or profession. It provides that the profits and gains of any business in possession which was carried on by the assessee at the time during the previous year may be taxed under the said head. At the face of record, section 28 postulates that the aim and object of acquiring the property should be commercial in nature. (b) not sharing any know-how, patent, copyright, trademark, licence, franchise or any other business or commercial right of similar nature or information or technique likely to assist in the manufacture or processing of goods or provision for services. (ii) any sum received as compensation, from the multilateral fund of the Montreal Protocol on Substances that Deplete the Ozone layer under the United Nations Environment Programme, in accor- dance with the terms of agreement entered into with the Government of India. (ii) “service” means service of any description which is made available to potential users and includes the provision of services in connection with business of any industrial or commercial nature such as accounting, banking, communication, conveying of news or information advertising, entertainment, amusement, education, financing, insurance, chit funds, real estate construction, transport, storage, processing, supply of electrical or other energy, boarding and lodging. Explanation – For the purposes of this clause, the expression “Keyman insurance policy” shall have the meaning assigned to it in clause (10D) of section 10. Explanation 1 – Omitted by the Direct Tax Laws (Amendment) Act, 1987, with effect from 1st April, 1989. Apart from section 28, the provisions contained in sections 29, 30, 31 and 32 abundantly makes it clear that for the purpose of assessment under the head “Profits and gains of business or profession”, it shall be necessary that the property acquired and used is for commercial purpose under business activity. The owner of the property must have acquired the property with intention to earn profit under commercial activity. 25. In case submission of the learned counsel for the appellant is accepted, then it shall amount to addition of word in the plain meaning of section 27 or 28 of the Act and also to negate the meaning and purpose of the provisions contained in sections 22 to 27 of the Act. 27. In Vemareddy Kumaraswami Reddy v. State of Andhra Pradesh 2006 (2) SCC 670 their Lordships of Hon’ble Supreme Court affirmed the principle of construction and held that when the language of the statute is clear and unambiguous court cannot make any addition or subtraction of words. 28. In M.C.D. v. Keemat Rai Gupta AIR 2007 SC 2742 and Mohan v. State of Maharashtra AIR 2007 SC 2625, their Lordships of Hon’ble Supreme Court ruled that Court should not add or delete the words of a statute. Casus Omisus should not be supplied when the language of the statute is clear and unambiguous. 29. In Karnataka State Financial Corpn. v. N. Narasimahaiah AIR 2008 SC 1797, Hon’ble Supreme Court held that while construing a statute it cannot be extended to a situation not contemplated thereby. Entire statute must be first read as a whole then section by section, phrase by phrase and word by word. While discharging statutory obligation with regard to take action against a person in a particular manner that should be done in the same manner. Interpretation of statute should not depend upon contingency but it should be interpreted from its own word and language used. 30. It is also settled provision of law that the taxing statute should be construed strictly and in case two views are possible, then the one which favour the assessee should be adopted vide, State of West Bengal v. Kesoram Industries Ltd. 2004 (10) SCC 201, Mathuram Agarwal v. State of M.P. AIR 2000 SC 109, Mysore Minerals Ltd. v. CIT  239 ITR 775 (SC). 31. In K.V. Shivakumar v. Appropriate Authority (2000) 3 SCC 485, Hon’ble Supreme Court has held that equity or hardship are not relevant consideration for interpretation for taxing law. 32. In Kesoram Industries Ltd.’s case (supra), Hon’ble Supreme Court held that taxing statute should be construed strictly. If a person sought to be taxed comes within the letter of law, he must be taxed. However, in case, he does not fall in taxing category, tax cannot be imposed. There is no room for any intendment. There is no equity about tax. There is no presumption as to tax. Nothing is to be read and nothing is to be implied. 33. In Sneh Enterprises v. CC 2006 (7) SCC 714, Hon’ble Supreme Court held that in case of dispute or ambiguity, construction has to be made in favour of taxpayer against the revenue. 34. A Division Bench of Allahabad High Court in Lipton India Ltd. v. State of U.P. 2009 (27) LCD 161, in which one of us (Hon’ble Devi Prasad Singh, J.) was a member, after considering various pronouncements of Hon’ble Supreme Court, held that while interpreting the statutory provisions, every section, every word, should be looked into in a reference to tax. 35. In CWT v. Officer Incharge, Paigah AIR 1977 SC 113, Hon’ble Supreme Court held that the correct rule is that the courts have to endeavour to find out the exact sense in which the words have been used in a particular context. 36. In H.H. Lakshmi Bai v. CWT  206 ITR 688, Hon’ble Supreme Court held that taxing statute in particular, have to be strictly construed and there is no equity in taxing provision. 37. In CIT v. Sakarlal Balabhai  86 ITR 2 , Hon’ble Supreme Court held that in interpreting the taxing provision, one has merely to look to the words of provision. It is not permissible to construe any provision of a statute, much less a taxing provision, by reading into it more word than it contains. If a section of a statute is considered as ambiguous it would not be in appropriate to find out the reason which persuaded the select committee to recommend the inclusion of that section. 38. In Mohd. Ali Khan v. CWT AIR 1997 SC 1165, Hon’ble Supreme Court held that taxing statute should be construed in their natural, popular and ordinary senses. 39. In Mahim Patram (P.) Ltd. v. Union of India 2007 (3) SCC 668; Hon’ble Supreme Court held that taxing statute should be strictly interpreted. 40. In Mathuram Agarwal’s case (supra), Hon’ble Supreme Court held that taxing statute should be interpreted in the spirit of the statute. In view of above, submission of the learned counsel for the appellant does not seem to be sustainable on combind reading of sections 22 to 27 of the Income-tax Act. It shall be appropriate to consider the cases relied upon by the parties’ counsel. 41. In the case of New India Industries Limited (supra), the Gujarat High Court held that where the manufacturer of silk cloth as a part of its business installed a plant for dyeing silk yarn and plant could not be used and idle for sometime and later on let out to a person on a monthly rent, the question as to whether the rent for five years realised by the assessee was chargeable to excess profits tax as profits of business or was income from other sources. It was held that no general principle could be laid down which may apply to cases and each case should be decided on its own merit and related facts and circumstances. It was further held that in case the assessee derives income from commercial asset which is capable of being used as a commercial asset, then it is income from his business – no matter whether the commercial asset is used by himself or somebody else. The asset would not cease to be a commercial asset simply because it was let out to others. The businessman has got right to exploit it as commercial asset to its best of advantage. It was noticed that if commercial asset is not capable of being used as such or as commercial asset, then its being let out to others does not result in accrual of business income. While holding so, the Gujarat High Court has relied upon New India Industries Ltd.’s case (supra). 42. The aforesaid proposition of law has been followed in Narain Swadeshi Weaving Mills’ case (supra) relied upon by the appellant. However, the case does not seem to be applicable under the facts and circumstances of the present case. In the present case, from the very beginning, the plot purchased and building constructed by the assessee was for commercial use. That is why continuously since almost a decade, the rental income was assessed of his “business income” and not for “house property”. Nothing has been brought on record to show that the assessee constructed the building as house property for own use. 43. In CIT v. Indian Molasses Co. (P.) Ltd.  78 ITR 474 (SC), the Hon’ble Supreme Court observed that in case the expenditure laid out or expanded wholly or exclusively for the purpose of business, then it shall be business expenditure. It has been further held that the question of law means the question arising on the basis of the finding recorded by the Tribunal. 44. In CIT v. Madras Auto Service (P.) Ltd.  233 ITR 468 (SC) while considering the issue with regard to capital or revenue expenditure, the Hon’ble Supreme Court observed the expenditure as revenue expenditure where the assessee has taken a premises on lease for 39 years and demolished the premises constructed on new one on own expenses though lying in possession of lessee but on very low rent held to be business expenditure. 45. In Aluminium Corpn. of India Ltd. v. CIT  86 ITR 11 (SC) while interpreting the business expenditure, the Hon’ble Supreme Court held that the business expenditure means expenditure incurred must be for commercial expediency. In the present case, the investment made by the assessee while constructing the commercial complex seems to be a business investment, hence the rental income earned from the building as a natural consequence shall be business income. 46. In the case of Chennai Properties & Investments Ltd. (supra) relied upon by the appellant’s counsel, the Madras High Court though held that every building even if not constructed for dwelling house may be taxed under the head, “Income from house property”. However, it has also been held that the commercial building is not regarded as house and may be taxed as house property. 47. In Gujarat Ginning & Mfg. Co. Ltd.’s case (supra), the Gujarat High Court held that whether a property should be taxed under the head “Profits and gains of business or profession” or “Income from house property”, it depends upon the intention of the parties while acquiring the property. It is predominantly a matter of intention which may be drawn from the relevant facts. The judgment of Gujarat High Court fortifies the views taken by us. 48. The Delhi High Court in the case of Super Fine Cables (P.) Ltd. case (supra) also ruled that it is the nature of arrangement and the reason for that is to be looked into to decide under which head income-tax be imposed. The purpose of determining whether one has let out the property for business purpose or merely for enjoying the rent are relevant factor. The test applied by the Delhi High Court also shows that the building constructed exclusively for commercial use may be taxed under the head, “Profits and gains of business or profession and not under the head, “Income from house property”. 49. In the case of Karnani Properties Ltd. (supra), Hon’ble Supreme Court has treated the income as income from business where the assessee had let out the building constructing flats and shops. Hon’ble Supreme Court held that the activities carried on in an organised and systematic manner to let out property, flats or shops to the tenants is assessable as business income. 50. In the case of S.G. Mercantile Corporation (P.) Ltd. (supra). Hon’ble Supreme Court held that letting out of premises as business activity authorised by memorandum of association shall be taxable as business income. 51. Orissa High Court in CIT v. M.P. Bazaz  65 Taxman 91 , held that a building constructed and let out on rent to carry out business for profit should be assessed as business income. 52. In Universal Plast Ltd.’s case (supra). Hon’ble Supreme Court has held that grant of lease of factory to exploit a commercial asset is assessable as business income though the lease was for temporary period with no intention to revive it. 53. Gujarat High Court in New India Industries Ltd.’s case (supra) held that where the income from letting out an asset is business income or income from property, no general principle can be laid down. It shall be decided on the facts and circumstances of each case. The governing principle should be as to whether the asset is being accepted commercially by letting out or it is being let out for the purpose of enjoying rent. 54. In Sri Balaji Enterprises’ case (supra) where the firm was constituted for carrying on business of real estate, taking property on lease, building structure thereon and lease them out to tenants, Karnataka High Court held that the leasing out of commercial complex amounted to business activity. 55. In Kaumudini Narayan Dalal’s case (supra), Hon’ble Supreme Court held that the decision adverse to Government in tax matters left unchallenged may operate as res judicata against the Government which has been followed in other cases. However, Hon’ble Supreme Court clarified that there may be variation on just cause. 56. In Satish Pannalal Shah’s case (supra), Hon’ble Supreme Court held that there the judgment of earlier year has not been challenged, it is not open for the revenue to challenge the correctness of other assessee without just cause. The same view has been reiterated in Eureka Forbes Ltd.’s case (supra), P.M.T. Components Ltd.’s case (supra) and Bhooratnam & Co.’s case (supra). 57. In C.K. Gangadharan’s case (supra), their Lordships of Hon’ble Supreme Court held that where the revenue has not assailed the correctness of the order in one case, it would normally not be permissible to do so in other case on the logic that the revenue cannot pick and choose. It is necessary to maintain certainty in law. 58. In the case of Allied Finance (P.) Ltd. (supra), the lack of consistency by revenue put their action to acid test. Hon’ble Supreme Court held that the principle of res judicata does not apply to the income-tax proceedings since each assessment year is a unit by itself. But there is a fundamental aspect permeating through different years and the authorities have allowed that position to be sustained, it would not be appropriate to allow the position to be changed in subsequent year. For the sake of consistency, the same view should be continued to prevail in subsequent years unless there is some material change in the facts. In Lovely Bal Shiksha Parishad’s case (supra), the same view has been reiterated. Their Lordships of the Hon’ble Supreme Court held that the proposition of law and observation made therein is confined to the said case and may not be treated as authority on the aspects for general application. “14. So far as the proposition of law is concerned, it is well-settled and needs no further discussion. In taxation-matters, the strict rule of res judicata as envisaged by section 11 of the Code of Civil Procedure, 1908 has no application. As a general rule, each year’s assessment is final only for that year and does not govern later years, because it determines the tax for a particular period. It is therefore, open to the revenue/taxing. Authority to consider the position of the assessee every year for the purpose of determining and computing the liability to pay tax or octroi on that basis in subsequent years. A decision taken by the authorities in the previous year would not estop or operate as res judicata for subsequent year, [videMaharana Mills (P.) Ltd. v. ITO1959 Supp. (2) SCR 547 : AIR 1959 SC 881; Visheshwar Singh v. CIT  3 SCR 287; Instalment Supp. (P.) Ltd. v. Union of India  2 SCR 644; New Jehangir Vakil Mills v. CIT  2 SCR 971; Amalgamated Coalfields Ltd. v. Janapada Sabha 1963 Supp. (1) SCR 172; Devilal v. STO  1 SCR 686; Udayan Chinubhai v. CIT  1 SCR 913; M.M. Ipoh v. CIT  1 SCR 65; Kapur Chand v. Tax Recovery Officer  1 SCR 691; CIT, W.B. v. Durga Prasad AIR 1971 SC 2439; Radhasoami Satsang v. CIT 1 SCC 659; AIR 1992 SC 377; Society of Medical Officers v. Hope 1960 AC 55; Broken Hill Proprietary Co. Ltd. v. Municipal Council 1925 All ER 675; 1926 AC 94 : 95 LJPC 33; Turner on Res Judicata, 2nd Edn. para 219, p. 193]. Hon’ble Supreme Court further showed its agreement with the principle of law enunciated by Radhasoami Satsang’s case (supra) (para 24). 61. Law emerges after considering various pronouncements of Hon’ble Supreme Court and other High Courts is that the principle of consistency is a rule in general but for cogent reasons or on justifiable ground, the revenue has got right to depart from its earlier practice and take a different view which shall be determined upon the facts and circumstances of each case. While departing from earlier practice, the revenue cannot act mechanically without applying its mind to earlier facts and circumstances under which a view was taken by the taxman and the facts and circumstances of the assessment year in question calling to depart from earlier view. Where there is a fundamental aspect permeating through different assessment years allowed by the authorities to sustain, it would not be appropriate to change the view in subsequent year except on justifiable ground like change of circumstances or non-consideration of relevant material or statutory provisions, or failure on the part of assessing or appellate authority to exercise jurisdiction for extraneous reason or small amount of revenue involved or other justifiable ground depending on facts of each case. 62. In view of above, apart from consistency factor, from the material on record, it may be safely inferred that the assessee constructed the ‘Goel Complex’ exclusively as the part of its commercial activity to earn income by letting it on rent. Accordingly, the income so drawn shall be business income. “The income drawn from the rent received from Goel Complex is assessable under the head, “Profits and gains of business or profession”. This entry was posted in Sec. 28(i), Section 22, Section 28 and tagged 331 ITR, Allahabad High Court, business or house property income controversy, In favour of Assessee.